Project Goal: Professional development to support the opening of a new elementary school. Description: RUSD is opening two new elementary schools, the first to open in the fall. The design represents a departure from the typical elementary building in the district. 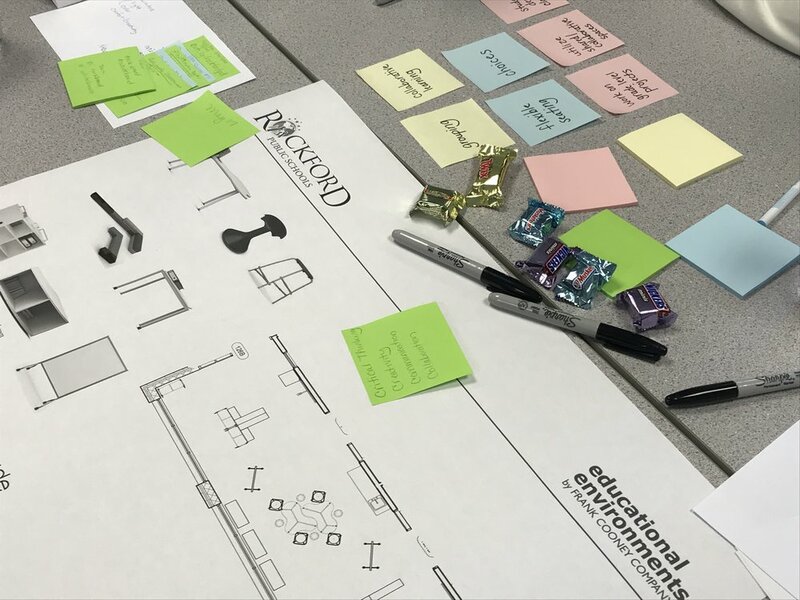 I had an opportunity to work with the new faculty for the building to help them visualize and identify what new spaces could mean for teaching and learning. What's Interesting? Assembling faculty from three buildings into one and how a new culture is built. How new spaces will impact teaching and learning and how spaces support a new vision for this.